Google Street View has been around for years, allowing you to plop a marker in Google Maps and look around in the real world from that point. But unlike Google Maps with its satellite imagery, Street View requires cars with special cameras or people with funny-looking backpacks or bikes to physically visit. Now Google has expanded Street View to locations in the African nations of Ghana, Senegal, and Uganda. 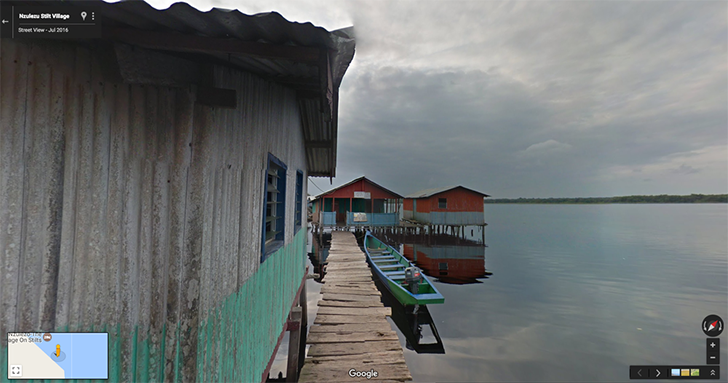 With these additions, Street View now covers 81 countries with seven of them in Africa. Places of interest include the National Theatre of Ghana, Senegal's African Renaissance monument, the UNESCO World Heritage-classified village of Nzulezo in Ghana, and Lake Retba. Google also partnered with the Uganda Wildlife Authority to visit seven of the country's National Parks. And as you might expect from Street View, Google has driven through major cities and roads as well. All of the updated imagery is already live on Google Maps, so you can go exploring right now.